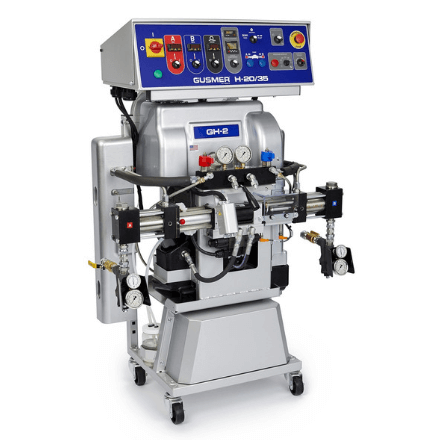 Guided by both simplicity and reliability, Gusmer’s point-to-point wired electrical cabinet sits atop Graco’s industry-proven hydraulic Reactor 2 chassis, including the Reactor horizontal pump line, fluid heaters, and hydraulic system. 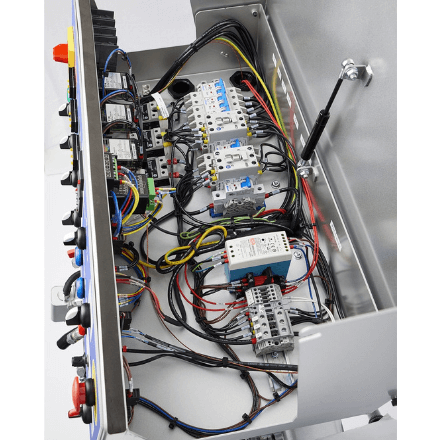 Guided by both simplicity and reliability, Gusmer’s point-to-point wired electrical cabinet sits atop Graco’s industry-proven hydraulic Reactor 2 chassis, including the Reactor horizontal pump line, fluid heaters, and hydraulic system. 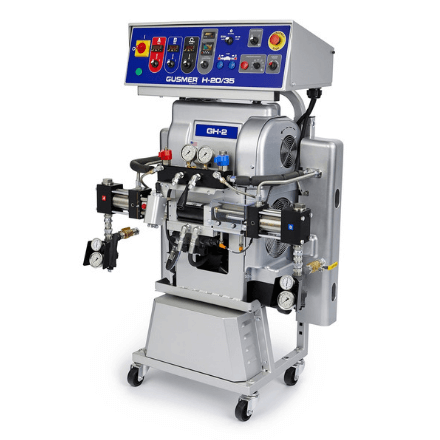 The Gusmer H-20/35 GH-2 hydraulic proportioner: a simple, durable machine offering impressive performance at an attractive price. Ideal for a wide range of spray foam applications, including residential insulation, commercial wall insulation, roof insulation, rim and band joist and even concrete lifting. 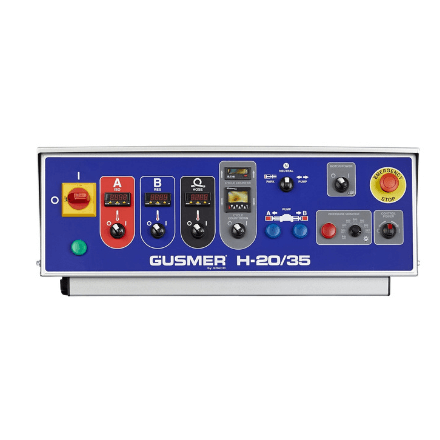 Gusmer H-20/35 system features easy access and service to the electrical cabinet. With standard off-the-shelf hardware it’s an easy-to-use and easy-to-maintain design. All GRACO Gusmer GH-2 documentation, manuals and resources available HERE.